I had so many Monarch caterpillars in my various patches of Milkweed (Butterfly Weed, Swamp Milkweed, and Tropical Milkweed) in August that they stripped some of it bare. Luckily I have a robust stand of Common Milkweed and was able to move many of the still-hungry caterpillars to that stand. I heard from many gardeners who had planted only a few milkweed plants and were unprepared for the bounty of Monarch caterpillars. Lesson: Plant More Milkweed!!! Afterwards, I was away for a week over Labor Day running 2 butterfly counts in South Carolina (the 26th year I’ve run these counts), and when I returned the Monarch caterpillars in my garden had disappeared, hopefully to safe places where they went into their chrysalis stage. 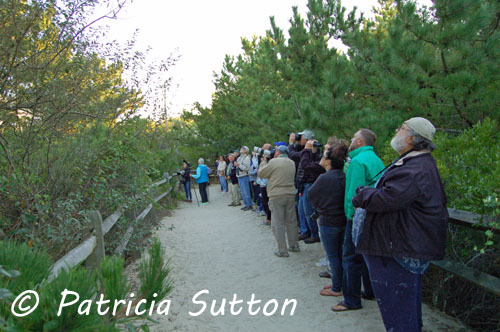 We’re all hoping that this will be a magical fall at Cape May for Monarch migration. If yesterday (September 25) was an indicator, I think we’re in for a treat. Clay and I played hooky yesterday and walked some of our favorite spots on The Point (the southern tip of NJ): South Cape May Meadows, Cape May Point State Park, Triangle Park in the town of Cape May Point, and the streets of Cape May Point. 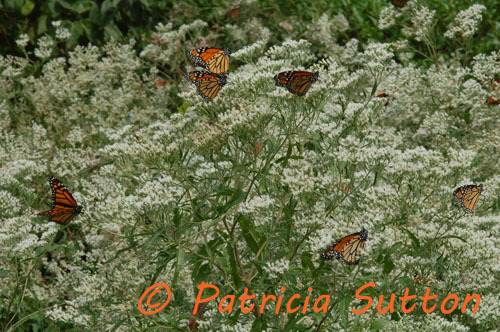 Despite heavy rain to the north and the west, the sun came out in Cape May and the Monarchs were nectaring in force. One garden on Alexander Avenue in Cape May Point had 50 nectaring Monarchs on a breathtaking stand of Late-flowering Thoroughwort. Late-flowering Thoroughwort in a garden on Alexander Avenue in Cape May Point yesterday (9-25-18) with 50 nectaring Monarchs! 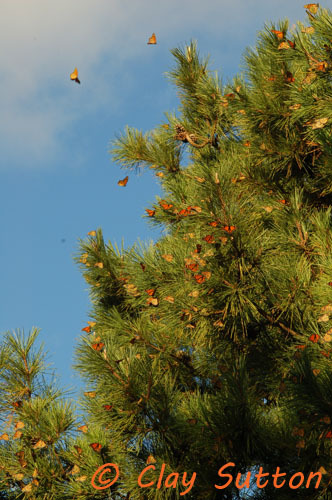 Some falls I and others have enjoyed seeing 100s (some years 1000s) of Monarchs roosting together in the dunes at Cape May Point or in trees in certain yards. Some of these roost sites are used fall after fall. The dune crossover by St. Peter’s By the Sea Church at the intersection of Ocean and Harvard Avenues in Cape May Point is often good. Sometimes on a good flight day, when 100s or 1000s of Monarchs are being blown out to the coast and south to Cape May Point, by late afternoon (2:30 or 3 p.m.) they begin to gather in sheltered spots, where they will spend the night communally. 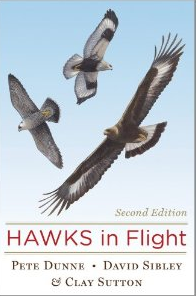 You can view them that evening or early the next morning before the sun hits them and warms them up enough to take off and continue their migration. When you read the Blog, be sure to scroll back and read the September 16th post, “Don’t Bring Monarchs to Cape May.” Share with friends who have either transported Monarchs to Cape May or plan to do so. Meets at the East Shelter next to the Hawkwatch Platform at Cape May Point State Park. Join CMBO Monarch Monitoring Project naturalists to learn about the Monarch butterflies that migrate through Cape May. 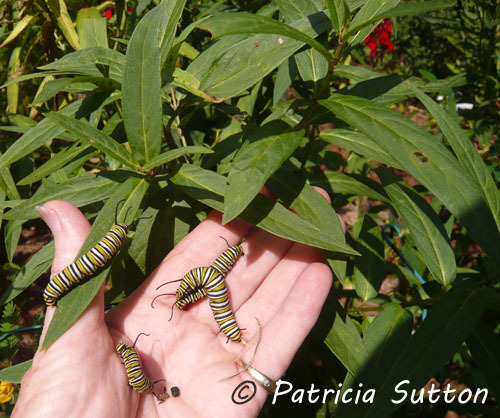 You’ll learn how you can help with Monarch conservation. After the talk, watch as small tags are affixed to Monarchs to track their migration. No preregistration necessary. Family-friendly. Cost: FREE. Stop by Triangle Park, at Lighthouse and Coral Avenues in Cape May Point to learn about the Monarch Monitoring Project. The team may be tagging monarchs, tending to the gardens that support the monarchs, or engaged in other project activity. No reservations needed for this free program, but contributions to the Monarch Monitoring Project are welcome. At the Nature Center of Cape May (1600 Delaware Avenue, Cape May, NJ). The festival will include educational programs, butterfly tagging demonstrations, children’s crafts, along with music and food! Join in the celebration and learn why this area is so special to the migration of the butterflies and what you can do to help conserve wildlife. Suggested $5 donation to support the nature center programs throughout the year. Call the NCCM at 609-427-3045 with any questions about the festival. Enjoy this fall’s Monarch migration! Late-flowering Thoroughwort, although agressive in my garden, is also filled with monarchs. I’ve given away many offshoots and friends are also delighted with the monarch attraction. Is Late-flowering Thoroughwort a nectar or host plant? What’s the difference.? Is thoroughwort in the boneset family? I don’t always believe the google sources. So glad you asked. 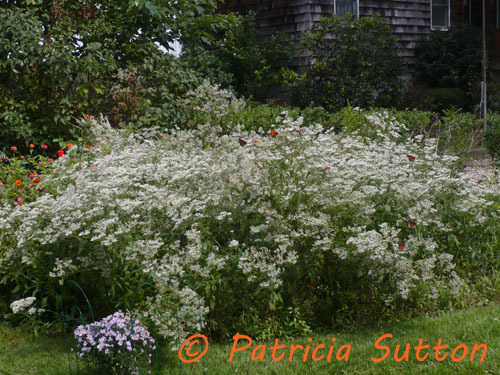 You’ve answered your own question as to whether Late-flowering Thoroughwort (Eupatorium serotinum) is a nectar plant. My photos and your experience with it in your own garden both showcase it as a superb nectar plant. Mine draws in a ton of neat bees, flies, wasps, and butterflies, including hairstreaks and Monarchs (to name a few)! 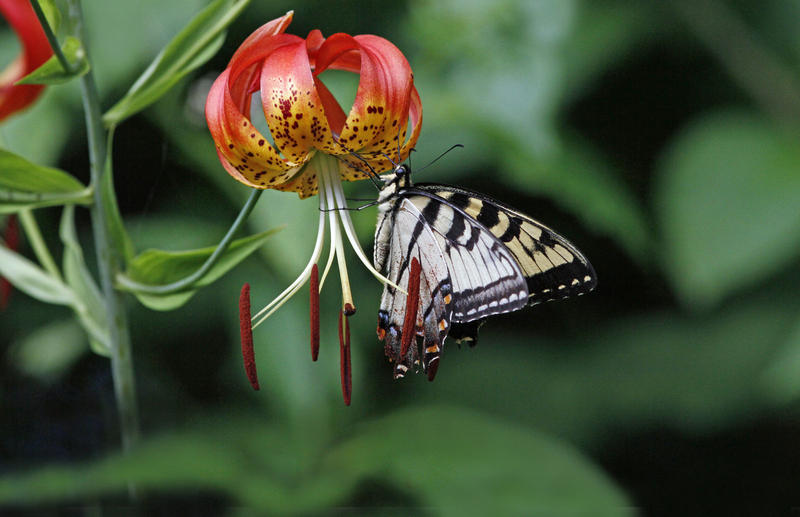 And Doug Tallamy, author of Bringing Nature Home, shares that Eupatoriums are top notch as caterpillar plants (host plants), needed by 42 species of butterflies and moths for egg laying. Yes, this highly beneficial native is a thug! When done flowering it’s seeds are dispersed by the wind and the following spring you may have 1000s of them popping up in your garden. They’re easy to pull out or pot up for friends. I’ve shared many of these volunteers with other wildlife gardeners, always with the warning that it can be a thug. To keep my gardening efforts at a minimum (less work), in my own garden I cut off the spent blooms before they can disperse and lay them in my woods, where I don’t care if it runs around. It doesn’t like the shade, so I’ve never had them come up in my woods. Late-flowering thoroughwort is a keeper. And my four plants are staying. I’ll continue to give to give babies away. and place spent branches in my “wood”s” too. At Palmyra Cove Nature Park Late-flowering Thoroughwort plays an out-sized role as a fall nectar plant. Anywhere the ground has been disturbed it quickly appears. Anywhere it grows insects appear. I will admit to feeling some guilt for removing it from the more formal nectar gardens, but it is an aggressive reseeder that doesn’t always play well with others. But we live in a disturbed world with lots of brown lands that need good plants. As a pioneer plant in those lands it is one of the best. An added bonus is deer don’t care for it. Thanks for sharing!!!! And for sharing that Deer don’t care for it. So many wildlife gardeners struggle to find such plants. Must be pure magic where it’s thick at Palmyra Cove Nature Park along with the beautiful gardens you’ve maintained there for years! Wow! A deer resistant nectar plant.